The long awaited Channel O Africa Music Video Awards 2014 have finally wrapped up. The 2014 edition of Africa's longest live broadcast music awards was held in Soweto at the Nasrec Expo Centre hosted by one of SA's best presenters Siyabonga Ngwekazi and Nigerian actress/model and media personality Eku Edewor. 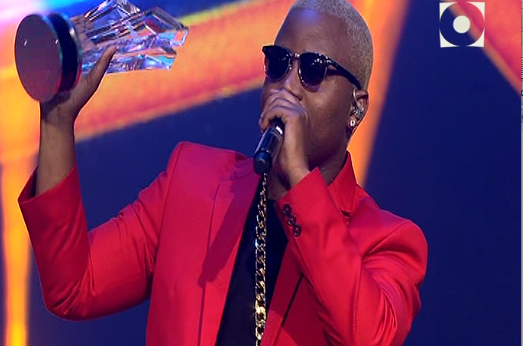 The night belonged to Cassper Nyovest and Diamond Platnumz as the biggest winners scooping three awards each. Cassper walked away with Most Gifted Male, Most Gifted Southern and the big one, the Most Gifted Video of the year. On the other hand, Diamond walked way with the Most Gifted Newcomer, Most Gifted Afro Pop and Most Gifted East. Performances from Davido, Cassper Nyovest, Skhanda Republic commander K.O, the prince of Hip Hop AKA,Kwesta, Patoranking, the princess of House Bucie, Riky Rick, Olamide and DJ Dimplez , Tiwa Savage, Patoranking, Busiswa, Dream Team, Riky Rik, Maggz, Okmalumkoolkat and Boom Shaka set the buzz. My two cents to Channel O.- Since the #CHOAMVA are aimed at celebrating African music and giving our artist a platform to shine, it can only be fair if every region is represented. I'm not talking about best regional categories, but rather an overall package from stage performances to guest presenters. While watching tonight's awards, I couldn't help but think I was watching the South African Music Awards (SAMAs). This of course didn't sit well with me, for a continent made up of 53 states I felt insulted.